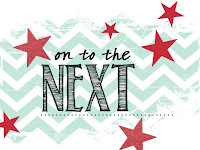 Just Julie B's Stampin' Space: Creation Station Get Well Blog Hop! Creation Station Get Well Blog Hop! 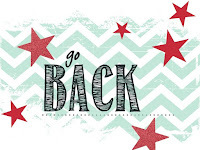 Welcome to the Creation Station Blog Hop for August! Our theme this month is Get Well! So my interpretation and project can be used as a Get Well card/gift, but also could be used just to cheer someone up for any occasion! 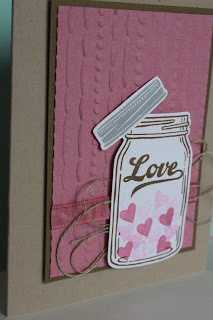 I Love the Jars of Love Stamp Set and Everyday Jars Framelits - there are so many options with this bundle!! 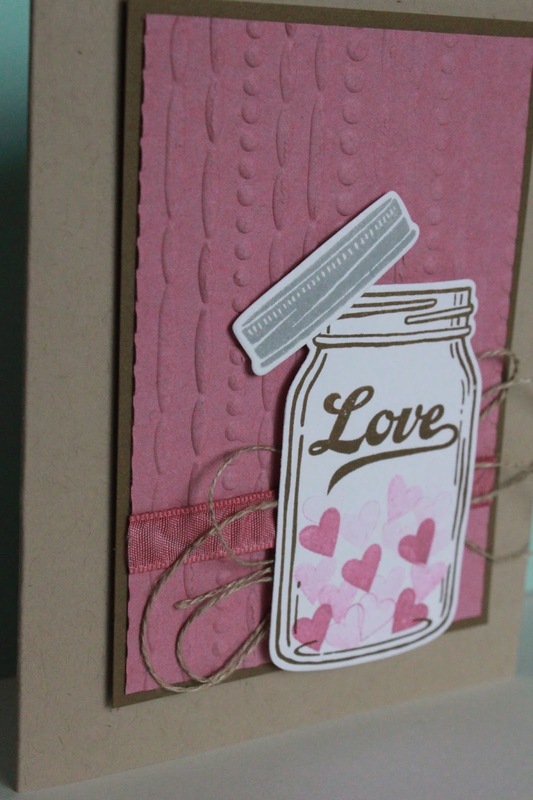 And the jars are so trendy right now! Here's a closer look at the card (sorry about the change in lighting...). The colors are Sweet Sugarplum, Soft Suede and Crumb Cake - a soothing color scheme. 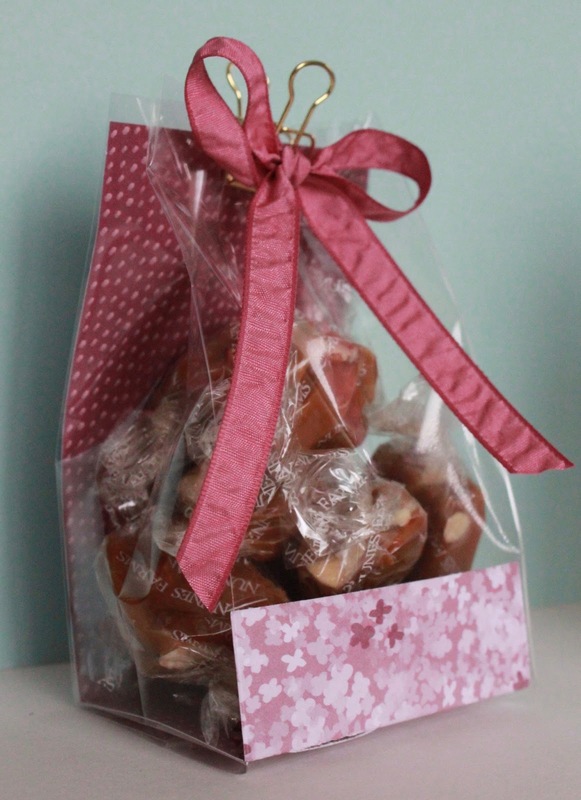 And here's the quick and easy 'giftie'. 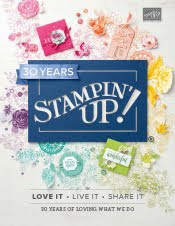 It's the new 3" x 6" Gusseted Cellophane Bags - with a piece of Blooms & Bliss Designer Series Paper scored, and slipped inside! - So easy, but sooo cute, huh?! Put your treats inside, and add a Gold Binder Clip with a coordinating Sugarplum Ruched bow - tah dah! Jar of Cheer Christmas Card! Lightning Bug Lantern Gift Set! Traveler Travel Log Gift Set! Ahoy There! 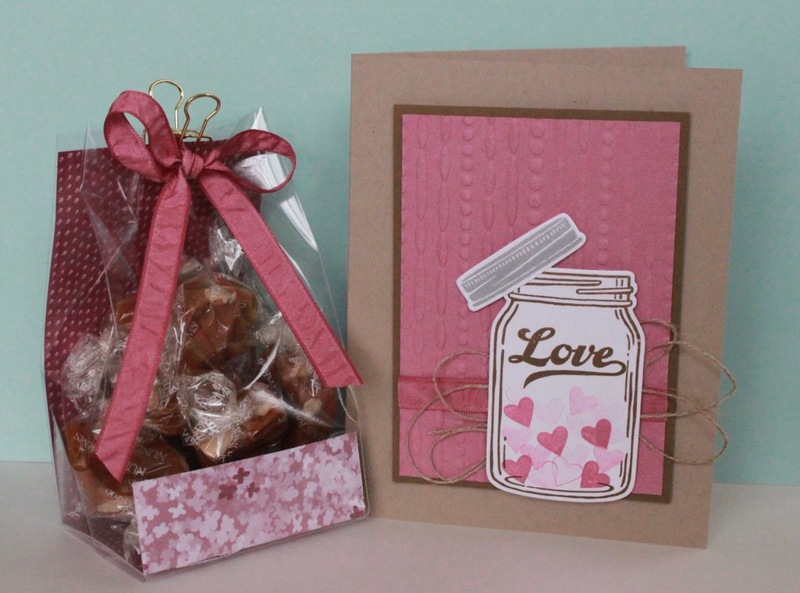 Note Card & Gift Box! Elegant Floral Gift Packaging Trio! Clearly Cute Bow Box for Class! Back to School Desk Accessory Gift Set!